US vacation rental service HomeAway has launched two new services today to make it easier for users to rent out their second homes, as it seeks to attract more customers who have been turned off the service due to the amount of work required on their part. 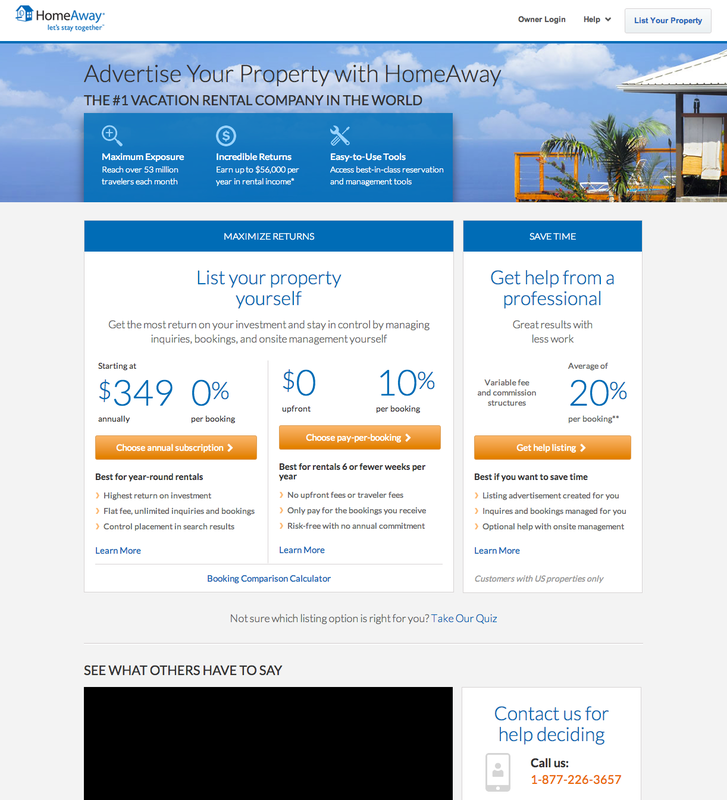 “Our research tells us that many owners who don’t subscribe to our sites are concerned about the time commitment required to rent their property,” HomeAway CEO Brian Sharples says. 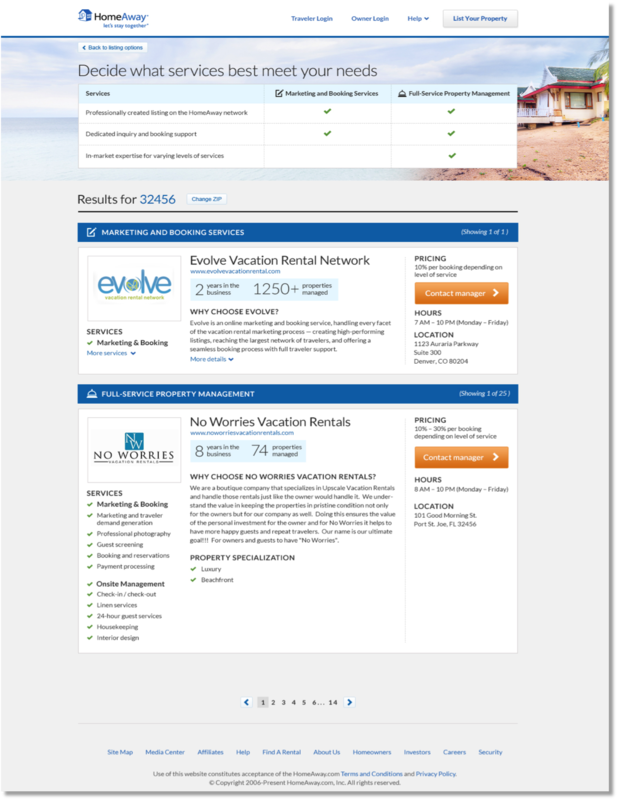 HomeAway has therefore rolled out a new commission-based model, which takes a 10 percent commission for each booking, as an add-on to the traditional subscription model where owners pay an upfront fee ranging from $349-$999. The new pay-per-booking model “works best for owners who rent six weeks or less and for people new to renting, who want to pay based on performance,” HomeAway says. In line with this new payment tier, HomeAway is also debuting the Professional Referral Network, which is a directory connecting new HomeAway users to professional property management services during the sign-up process, so they can rent out their property without having to do that much legwork. Users can either choose to list their properties personally, team up with a partner company to build their HomeAway listing and handle all inquiries and reservations while still overseeing on-site management, or simply outsourcing all the work to a property manager. HomeAway has been working hard to expand its business overseas, particularly in Asia, but this latest revamp targets its core business model and could see it capture more customers in its home market.